These dog rain and snow boots combine quality, durability and cuteness all in one waterproof dog boot. 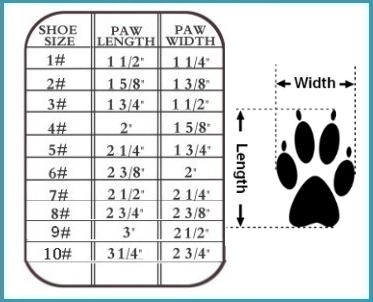 These winter rain or snow boots for dogs will keep your dog's paws out of the mud or snow and will prevent the inevitable "corn chip" foot odor. Get the snow shovel, grab the umbrella, secure the doggie waterproof boots and go! If cold paws in the snow and rainy days are getting your poochdown try staying dry and warm in these waterproof dog booties. We were finally able to find a pair of winter boots for our Shih Tzu. Every other pair fell or were shaken off his feet! 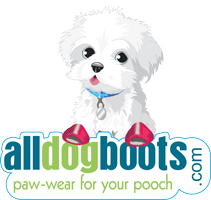 The boots we purchased from AllDogBoots are secured with a zipper, Velcro and a cinch. Perfect for keeping his feet snug & warm in the 2019 Midwest polar vortex! Thanks AllDogBoots! This company and their people are top notch! Caring, concerned, compassionate and above all... Dog Lovers extraordinaire! So concerned for my TaterNater and his special needs!! AND HE LIKES THEM! Tater Tot is a aging, arthritic very heavy Dachshund how has been housebound most of his life through several owners and I am sure that getting him more mobile will help with his joints and paw issues... this company and their products will give him a new lease on life! Thank You! The boots, socks and the Meshies are going to make his life so much better... and I appreciate how willing they are to work with me to fine the perfect "FIT" for him. Thank you so much! Fast shipping and great quality boots. The fit was perfect. I used the print out to measure the feet and it was very accurate. These boots fit my dog and stay on well. We're now able to spend hours outside in the snow. Just what we needed.